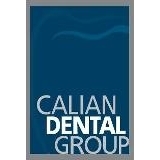 Calian Dental Group (White Plains) - Book Appointment Online! Westchester NY's Leading Cosmetic Dentist, Dr. Eric Calian, focuses on delivering the best cosmetic and restorative dentistry while maintaining an outstanding full-service cosmetic and specialty staff. Our clientele includes many prominent people, professional athletes, coaches, models, executives and manhattanites. Great visit and treatment. I will definitely be back!